One Direction have admitted that songs on their new album are "more meaningful" than their previous material. The boyband will release their second studio collection Take Me Home in November and explained that their voices have become stronger since touring throughout 2012. "I think the songs on this album are a bit more meaningful than the last album and I think that's the main difference really," Liam Payne told Australia's Sunday Night. "It's a bit more live, and we wrote a lot of them as well, so that was good news. I just think because of how much touring we've done our voices have got much better." Niall Horan added: "We wanted the music to grow with us as we're growing up. But there's nothing really drastic, because it's only been a year since we made the last album." One Direction recently confirmed that their new single will be 'Little Things', which will be released next month. Their new studio album Take Me Home will follow on November 12 in the UK and a day later in the US. One Direction‘s second album will be called Take Me Home. Member Louis Tomlinson confirmed the title of the follow-up to the boyband’s debut record Up All Night today (August 29). “So pleased to tell you that our new album is called ‘take me home’,” he said on Twitter. 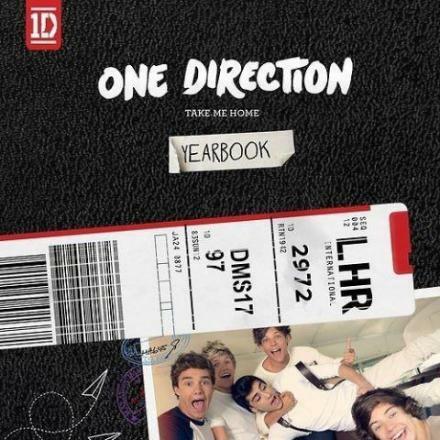 Take Me Home is rumoured to feature 12 tracks including four videos, and will be released November 12th. Last week, One Direction confirmed that the lead single from the album would be called ‘Live While We’re Young’ and be released on September 30. The track is available to pre-order via iTunes now, and has become the fastest-selling pre-order single ever. Up All Night went to number one in the US on its release, making US chart history as the first UK group to debut at the top of the chart with their first record. The album has been certified platinum in the US with over 1,000,000 sales and has sold over 660,000 units in the UK. Many talented songwriters and musicians worked with One Direction on their debut album Up All Night, including Ed Sheeran, who wrote Moments. We’re sure you’ll all agree, it’s beautiful, but can you imagine a whole 1D album full of songs like that? Interesting, very interesting. We can imagine the album would be beautiful, if this collaboration actually happens. Are we talking like, Avril Lavigne style? Maybe he meant something slightly different.